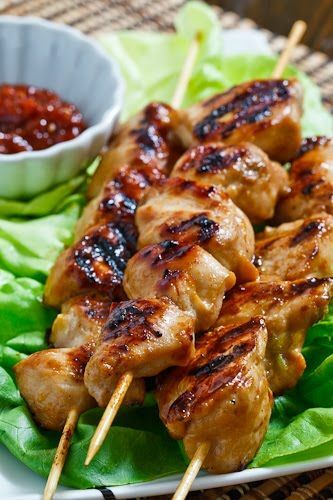 When I was making bulgogi , a Korean bbq beef, and in particular the chicken bulgogi , I could not help but think that the marinade would also work well on some grilled skewered chicken. The bulgogi marinade reminded me of a more complex teriyaki sauce that is sweet at heart but also packs a ton of flavour. With yakitori , a Japanese teriyaki grilled skewered chicken, being one of my favorite ways to grill up some meat on a stick, I itching to try the Korean bulgogi version. A quick search of the web led me to dakkochi, a Korean skewered chicken street food and I was set to go.